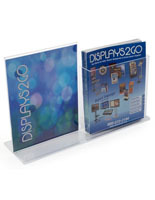 This 3-pocket pamphlet holder has a unique convex design that attracts customer attention to your periodicals! 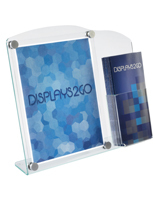 Place on a countertop or desktop to easily dispense literature about your company. 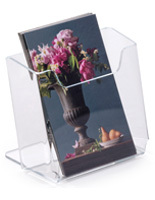 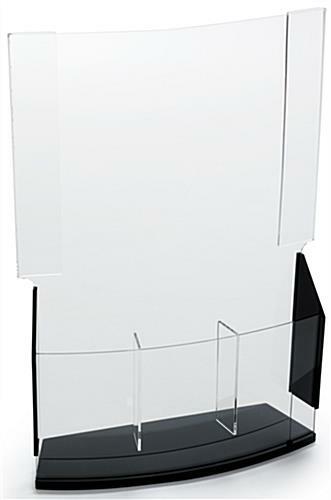 This pamphlet holder is a leaflet fixture for business environments that can store 4" x 9" tri-fold publications. 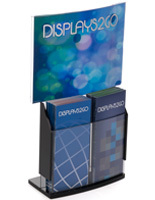 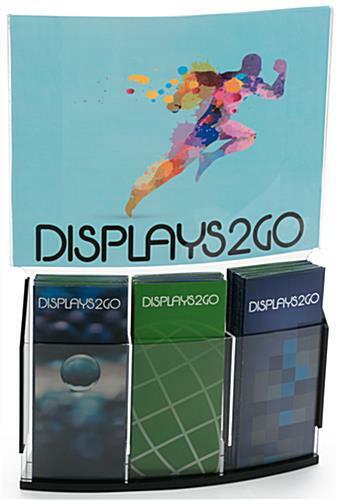 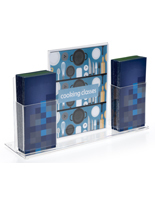 Showcase three sets of collateral printouts using this brochure stand. 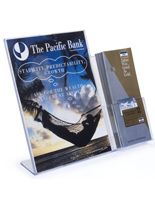 With an acrylic sign attachment to display a 14"w x 11"h poster, this pamphlet holder, also known as a literature rack, is dual-purpose advertising + take-aways!